Superman was on hand to cheer on the Reds! 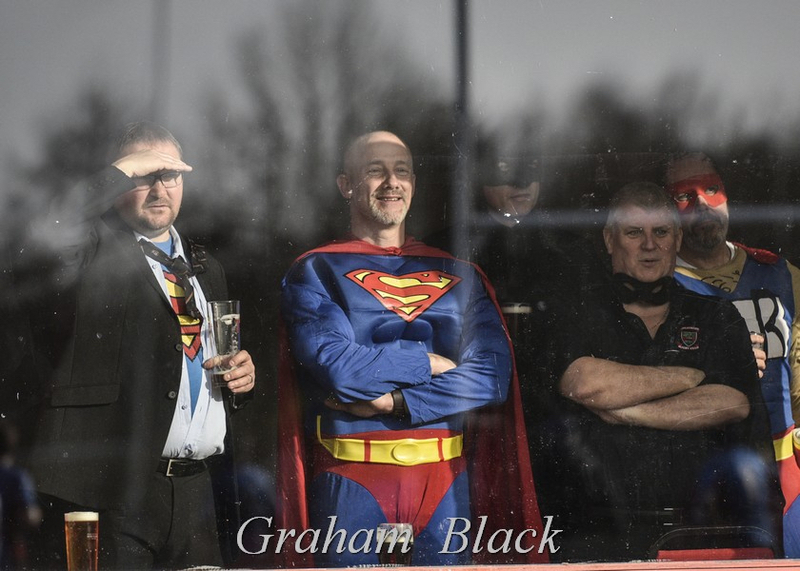 The French had arrived on the Friday for the big game against Scotland and many were at the 6 Nations Whisky tasting fund raising event with their hosts on the Friday evening. The aim was to generate favourable Scottish hospitality in the hope that it would help swing the game towards the home team the next day! The game kicked of at 1pm as a warm up before the first team outing with a few guests added to the AS Minorange to supplement their team. The Manager had issued a few words of caution before the game started, warning his unbeaten team that this could be a banana skin if we treated the group of French players lightly. The game kicked off and before long the French forwards indicated their intentions driving towards the Linlithgow forwards. The young but hugely talented French players drove over the line and scored the first try which was converted to give the visitors a 7 point lead. The Linlithgow backs should have had the beating of the senior players in the French defence, but sometimes experience beats youth and that often was the result of many moves which fizzled out. 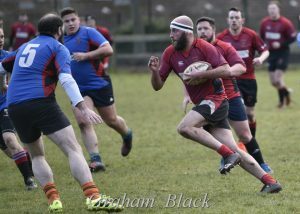 Eventually good passing of the ball along the backs was held by Kyle Risk, starting on the wing, who showed a fair turn of speed to run over for the equalising try which was converted by Chris Ronalson. 7 points each. The Reds were not really clicking as they had not played for a week and many of the strike runners were either unavailable or were in the first team squad. Too often they coughed up the ball when it could have been avoided. From a Reds’ mistake the French went down the field and scrambled another score. 12 points to 7 for the French. This score stung the Reds back into action and they worked their way down the park pressing the French in their 22. After a lineout well won by Conall Black and some good carries and set ups by Colin Devlin and Stu Young the ball was passed out by Robbie Thomson to Kevin Wilson now on at stand off. Kevin threw an audacious dummy and everyone fell for it and he was able to stroll over and touch down for a score. 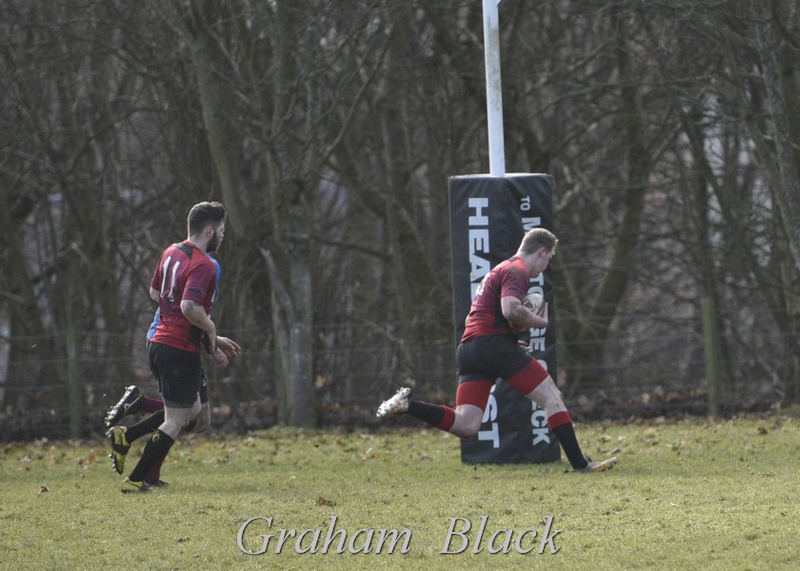 His attempted conversion of his own try narrowly shaved the outside of the post, leaving the score tied at 12 points apiece. Game on! Half time came and in the team talk everyone agreed that we should stick to our plan and try and keep control, not be disrupted and play loosely which suited the French game. If we played within our structure we could win the game which was not proving as easy as some previous encounters in the league. 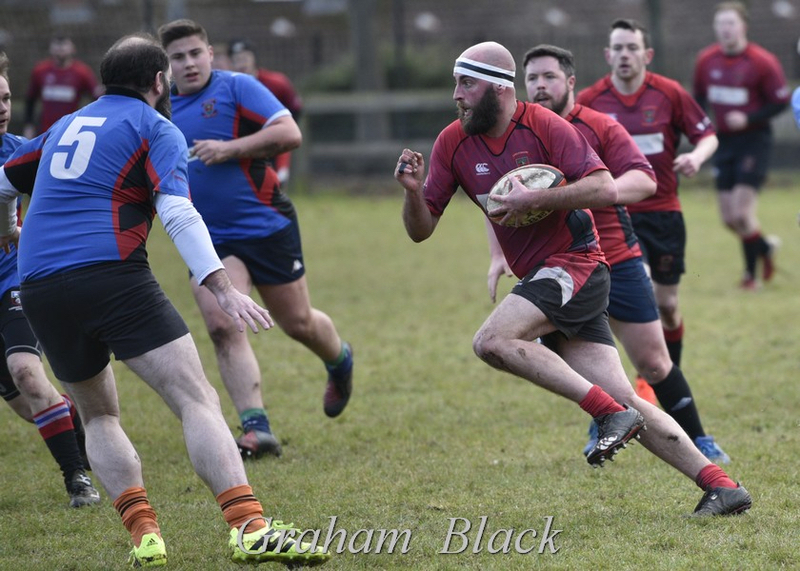 Concentration was good in the first 10 minutes after the break and Linlithgow scored the next try after a mix up in the French defence on halfway. Kevin Risk was on hand to hack on the loose ball and Rory MacAdam was there to finish the move and score a try under the posts, which was converted by Kevin Wilson. 19-12 to the Reds and we expected to score more. Rory MacAdam made another great run but gave the ball to Stu Young who was walloped as soon as he got it – “thanks Rory” – and the French team saved a certain try. 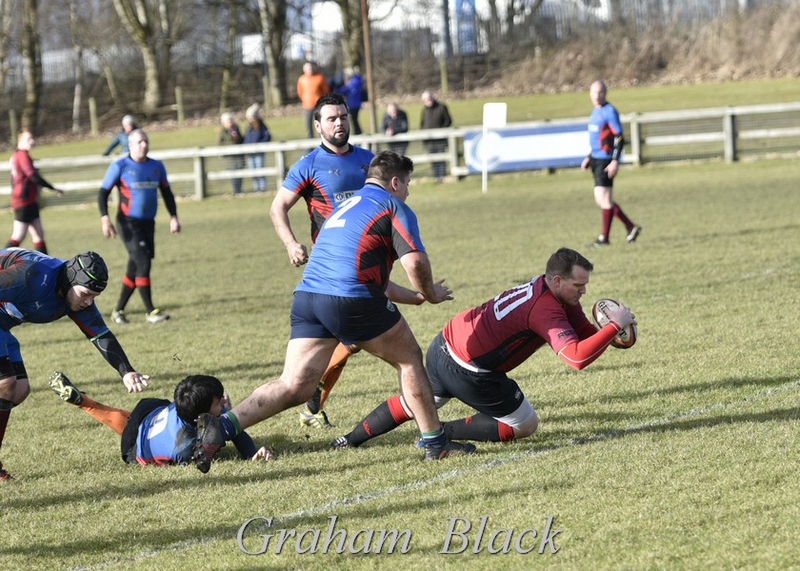 Jamie Chapman who was guesting for the French and had made the huge effort to tackle Stu Young unfortunately hurt himself saving the line and a certain score. After a check-up at A&E, Jamie reappeared afterwards with a beer in his hand, so no lasting permanent damage was done. 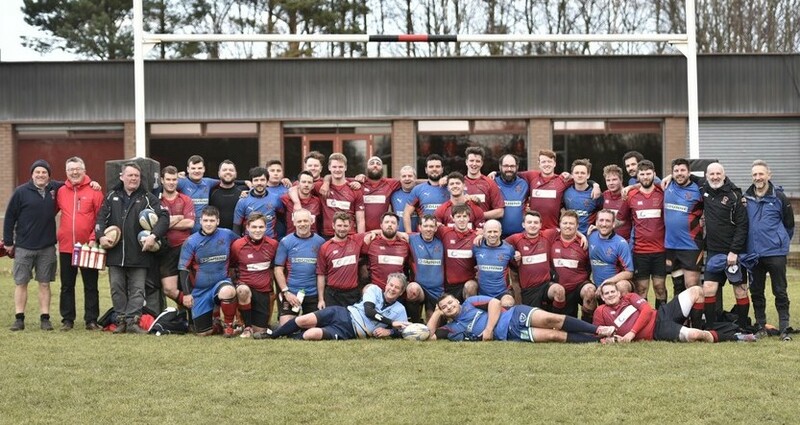 The French and guests were not finished and scored another try out wide but, fortunately for the Reds, missed the conversion, to leave the final score 19-17 to the Reds. The closest result all season!!!!! Thanks to all who helped and played for AS Minorange, namely Stu Gordon, John Smith, Neil Dori Muir, Jamie Chapman, Junior Chapman and Ryan Wilson, without whom the game would not have been played. Well done to the French, who contributed to a hugely competitive match played in a great spirit. 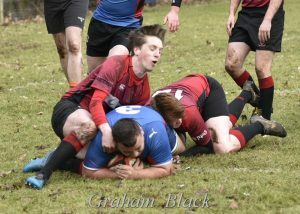 The Reds 2s need to step up again next Saturday against MorePort (away) for the final league game of the season.